The standard, new unused Z88 comes in a cardboard carrying case together with the User Guide. The most portable full-function computer ever devised. Less than an inch thick, measures 11½ in x 8¼ in. Weighs under 2 lb. Comes complete with integrated set of powerful applications software: word-processing, spreadsheet, database, calculator, diary, calendar, clock, alarm, printer editor- all included in ROM. Can export, import and manipulate data from IBM- compatible PCs; converts its own applications software into Wordstar or Lotus 1-2-3 files. Extra memory comes in solid-state, interchangeable packs- only 2 1/5 in square x 3/8 in deep. No fragile disks, no bulky disk drives. 32K of RAM built in, expandable to 3 megabytes - enough to hold the complete works of Shakespeare. Permanent storage on EPROM (Erasable Programmable Read Only Memory) packs, available in 32K,128K and 256K.. 1 megabyte Flash EPROM packs are here NOW. Latest (in 1988) supertwist liquid crystal display provides large working area of 8 lines x 80 characters. RS232 port provides connection to virtually any standard printer. QWERTY keyboard has silent, short-travel keys; use in meetings, lectures, anywhere. Runs on four AA batteries. Built-in capacitor preserves data when batteries need to be changed. Design Four-chip design - CPU, ROM. RAM, gate array. ROM 128K containing operating system and applications software together with BASIC/Assembler. RAM 32K expandable via 32K, 128K 512K and 1 megabyte to a maximum 3 megabytes, battery-backed from the computer. EPROM/FLASH EPROM Up to 3 megabytes removable storage capacity via 32K, 128K 256K and 1 megabyte packs. 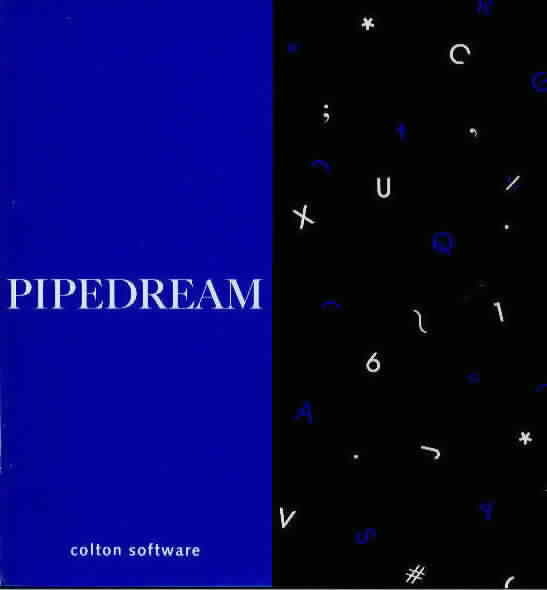 Applications software Pipedream word-processing and spreadsheet applications. Database. Calculator, diary, calendar, clock, alarms, printer editor, come as pop-down' screens. Operating system Oz operating software, (v2.2 or 3.0) allows task-switching between applications without loading or exiting. Display 8 x 106 characters superIwist' LCD. Includes 8 x 80 working area, page map (shows where you are on a complete page), battery strength, alarm status. Power 4 AA batteries provide 20 hours active computing or one year on standby. Ports Three for memory-pack expansion, RS232 for popular printers and data import/export. RAM Packs Require no external power, and are available with 32K and 128K 512K and 1 megabyte capacity. EPROM Packs Solid-state permanent storage, available in 32K, 128K and 256K. 1 megabyte FLASH EPROM packs available NOW. EPROM Eraser Z88 EPROM Eraser, completely deletes EPROM data - leaves you with a blank EPROM pack, ready for re-use. PCLINK Consisting of software diskette and RS232 serial cable, allows transfer and receipt of ASCII files between the Z88, and an IBM or compatible PC. Also converts Z88 Pipedream files into either Wordstar or Lotus 1-2-3 files. Links for other computers available. Serial Printer Cable Connects the Z88 to any printer with a standard serial port. Parallel Printer Cable connects the Z88 to any printer with a standard parallel port. AC Adapter helps preserve battery life, and is useful when the Z88 is in constant use in a fixed position. If you have enough RAM, you need the 1M Flash card to save your life's work to before something goes wrong with the Z88. I.e. loses it due to the battery going flat or the Z88 just crashes. Unlike the RAM where you can delete individual files to gain extra space, all the files on the Flash card are deleted when the device is formatted on the Z88. So you need enough RAM to store these files whilst you do that or use a second Flash card to transfer the files across. I now use the combined 512K/512K RAM/Flash card as I have never run out of memory with 512K RAM and the extra 512K space may be used for applications and file storage. 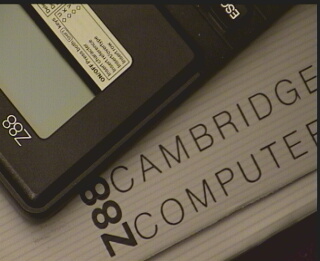 I use an additional Flash Card so that it can be used to transfer files to another Z88. Is your Z88 not working, or at least not working properly? Has it lost all your files again? We hold limited stocks of Z88 parts and can get you running again. Give us a call. With the Z88 at a new low price it is often more cost-effective to buy a spare machine. REMEMBER we are computer consultants who can HELP YOU to use Z88's (and other computers) in most applications.